This post is a bit long, but trust me, it's worth your time reading it. A snippet is a few lines of text that appear under every search result. They are designed to give users a sense for what’s on the page and why it’s relevant to their query. Rich snippets will surely increase your blog's CTR or click through rate. When your blog or website appears at the search engine result page (Google most importantly) and it contains rich snippets mark up like the breadcrumb, star ratings and authorship, it has a much higher chance to be clicked and visited. A report or certain case study said that, a 30% increase in CTR is achieved when rich snippet markup is applied to a certain webpage. Google.Com supports many types of rich snippets that you can use for your blog or website. RDFa Breadcrumb - provide links back to each previous page the user navigated through to get to the current page or - in hierarchical site structures - the parent pages of the current one. An easy template tag for showing a breadcrumb menu on your site and on google search results with built in RDFa Markup. GD Star Rating - plugin allows you to set up rating and review system for posts, pages and comments in your blog. You can set many options for displaying the rating stars, and add widgets into the sidebars for displaying top ratings and other statistics generated by the plugin. How about for blogspot blogs (blogger.com hosted blogs)? Well, I haven't found out any plugins or widgets for that, yet. You can use and try out this free schema markup creator at http://schema-creator.org/ for you to come up with easy to use and copy paste ready rich snippets/mark up codes. The codes can be pasted at your theme's HTML code or via widgets using the HTML/TEXT option. For the Google authorship (Your Google+ picture appears at the SERP beside your website description along with the number of circles you belong with), no plugin is needed for that. You just have to follow simple guide about author information in search results that Google laid out in here. The Google Authorship feature works for any type of website or with any blog platform. There is no guarantee that rich snippet or your structured markup will be shown for your page on actual SERPs. For more information, check this information from Google discussing the reason why your rich snippets are not appearing (it includes troubleshooting as well). Hope you got something new in this post. It might look like too much for you to consume, but trust me, it's worth your time studying it if you plan to make it big online. 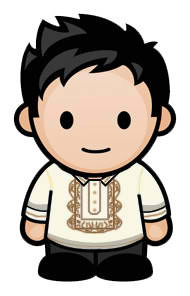 Ron Leyba is a Filipino Blogger And Optimizer. He recently posted about the Basic Yet Overlooked Tweaks That Enable Social Shares To Reach It's Peak here at FilipinoBloggersWorldwide.Com. This is very helpful. Will try to integrate snippets in my blogs. this one's really important if you want to increase your click-through rate. The authorship is a big factor if you want to protect your content from plagia and increase your blog's trust factor. Great post and awesome Infographic from Blueglass! Very informative and helpful for bloggers as well. I'm hoping to have enough time to disect it and apply to my blogs soon. thanks for the information mate i didnt know that much about rich snippets at all. This is a very informative post especially for people like me who are not much into technology. I'm customizing each snippet based on SEO for each post I publish. Be it for my personal sites or for clients, it's really helpful to searchers to get a few lines of details on a page they are about to visit. Let's not forget to put a keyword on the snippet too. Thanks for the comments and appreciation guys! If ever you haven't or having a hard time implementing it, feel free to contact me for help/guide. Thanks! ang galing ng pagkaka gawa ng inforgraphics dito. Very informative ang article na to.